Facebook said its move to eliminate the use of third party data for ad targeting is all about protecting its users. But some see a more calculated move. It’s possible that this targeting option wasn’t a key revenue driver for Facebook, yet eliminating it makes the company look privacy-sensitive. Facebook may also have been planning this move to protect itself against GDPR or to even strengthen its own data advantage. Former President Barack Obama has often warned against cynicism. That’s a lovely, noble sentiment. But the thing is, Obama never worked in advertising. Facebook’s announcementt that it plans to weed out ads that employ third party data sources for targeting was of course presented as being about protecting its users. But there are other viable theories. Facebook is getting rid of a targeting option that isn’t all that important, and it’s getting a great PR stunt out of it. Removing the option to target users with ads based on their past shopping habits and other information culled by third parties sends a strong signal that Facebook got the “privacy memo” following the embarrassing Cambridge Analytica saga – and that it’s taking drastic action. Yet it’s hard to believe that Facebook would elect to kill an ad targeting option that would severely hurt its thriving ad business. It’s more likely that in phasing out its Partner Categories program, Facebook is eliminating a less-than-vital revenue source. Facebook knows it was never going to make big TV brands happy anyway, so it stopped trying. It’s true that big, traditional marketers like Procter & Gamble and Unilever have been cutting back on digital advertising and have questioned the viability of Facebook’s data for targeting (when you’re trying to sell toothpaste for instance, you kind of just need to target everybody). So rather than continuing to try to bend over backwards for these brands, Facebook can stick to its bread and butter – catering to advertisers that rely on Facebook’s, or on their own data. Facebook is really worried about getting regulated. And this gives them something to talk about in front of Congress. You see Senator Rubio? We’re on this! 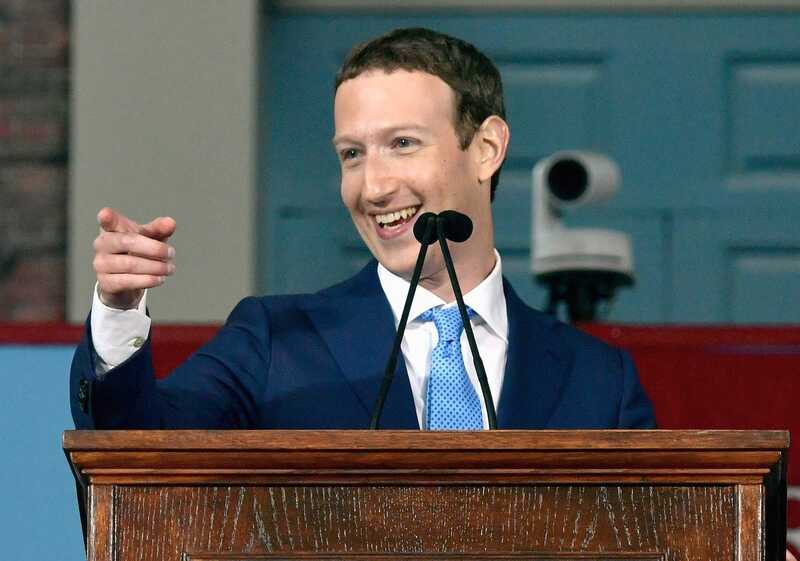 Facebook was going to do this anyway as it gets ready for European regulation – and Cambridge gave them a great excuse. In May, the General Data Protection Regulation act, or GDPR, goes into effect in Europe, but will impact any digital company that operates globally. At the heart of that regulation is that advertisers, publishers and ad tech companies are going to need express permission from consumers to use their data for ad targeting. The most jaded theory: the Cambridge crisis gave Facebook justification to make the walls in its walled garden even higher. It’s quite possible that Facebook never really liked the idea of bringing in any outside data to its platform, given its desire to protect the value of its own consumer data, and to keep that within its own walls. This move potentially makes Facebook look pro-privacy, while theoretically giving it more business leverage. But again, try not to be cynical.